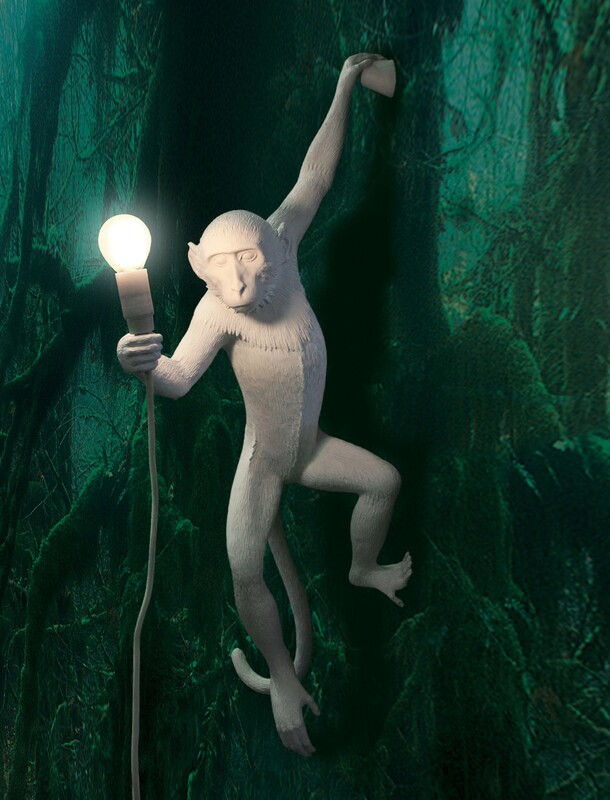 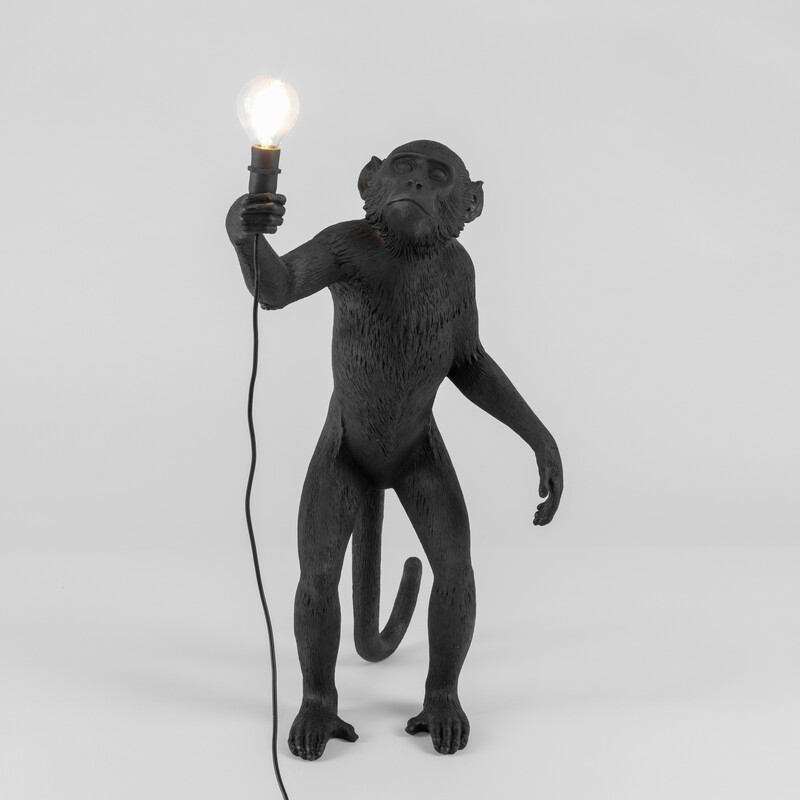 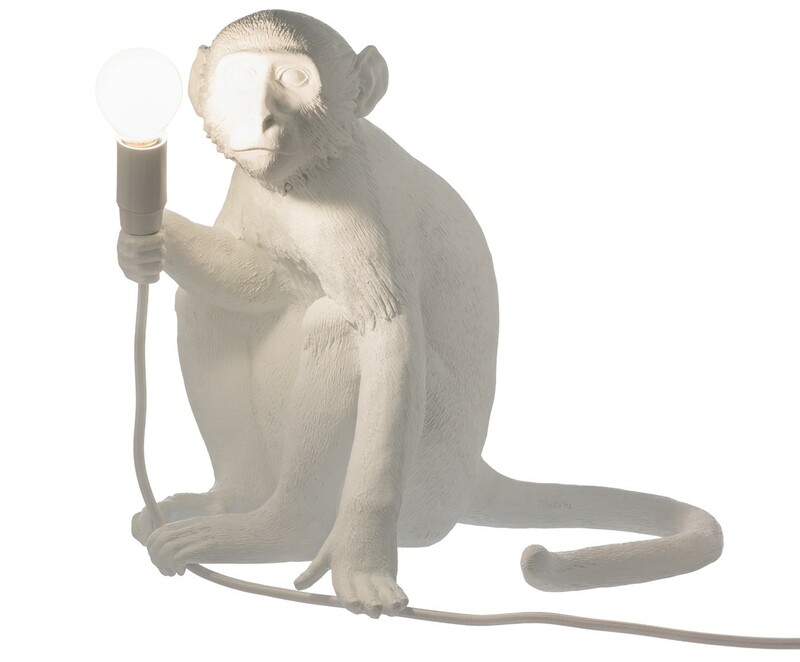 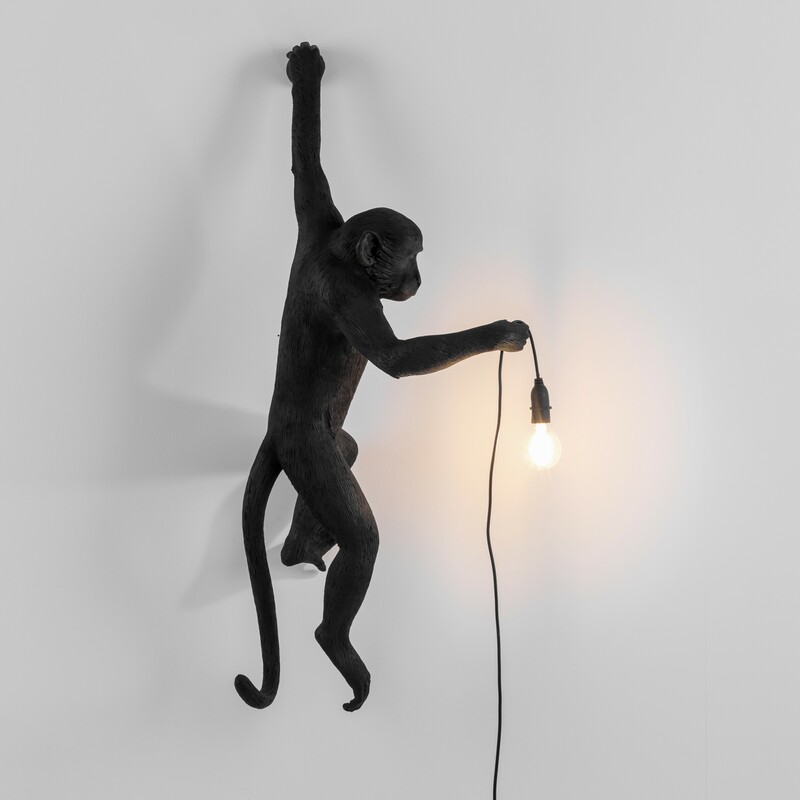 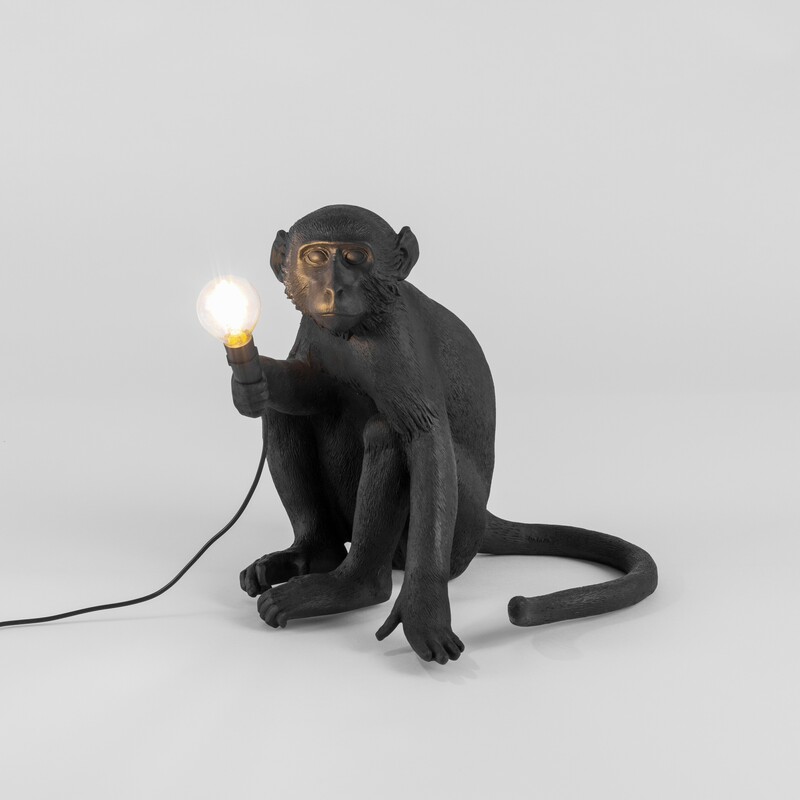 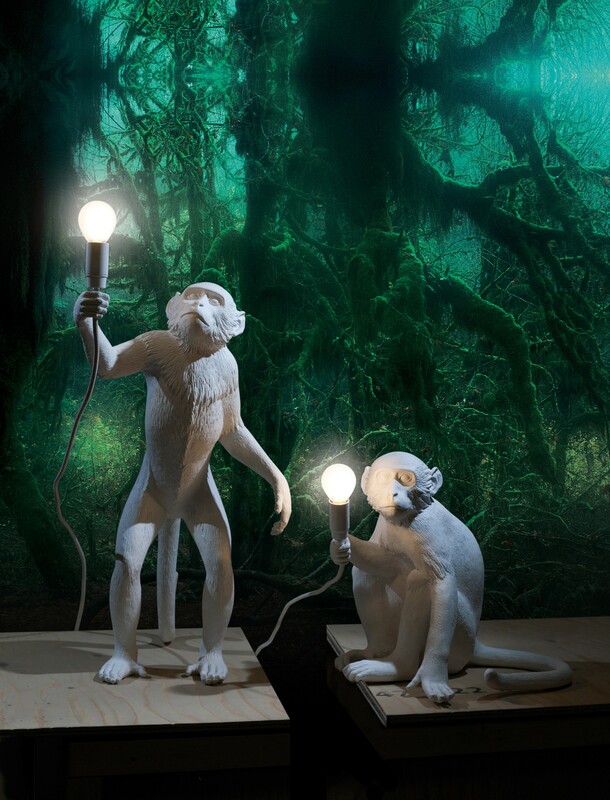 This charming monkey by Seletti will light up your home. 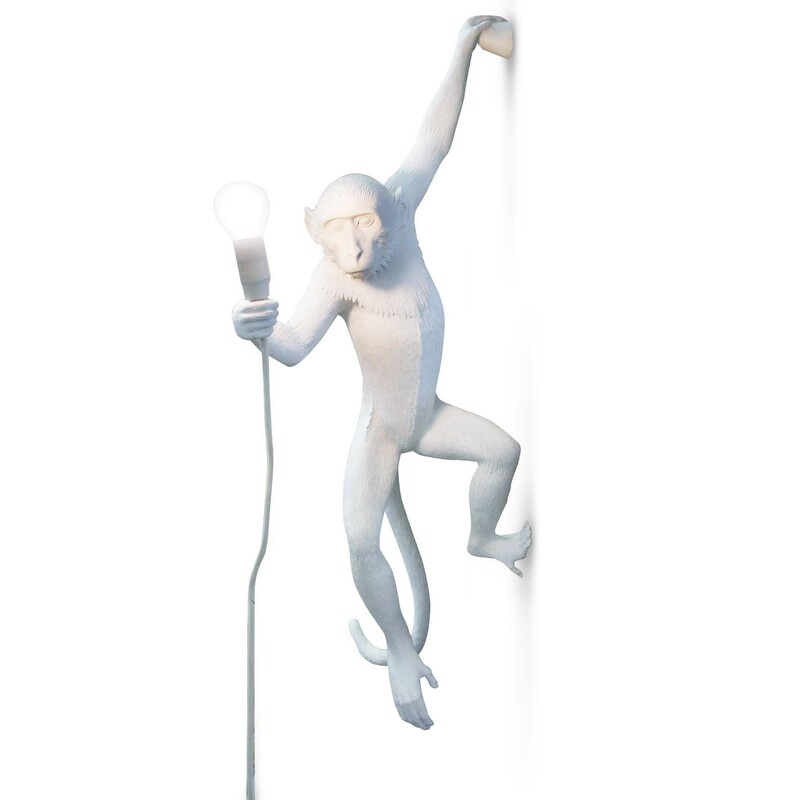 It is made of synthetic resin and has a 4.5-metre long textile cord. 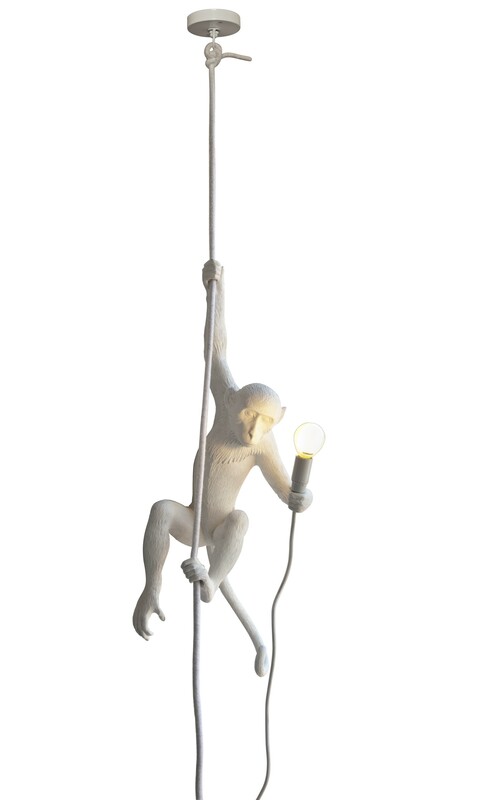 Available in a sitting, standing or hanging model (with or without rope). 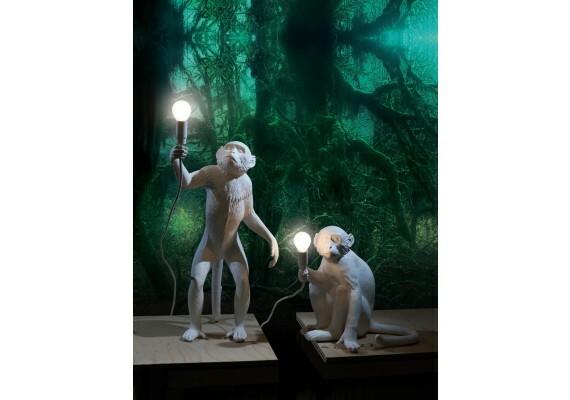 The small LED lamp is included. 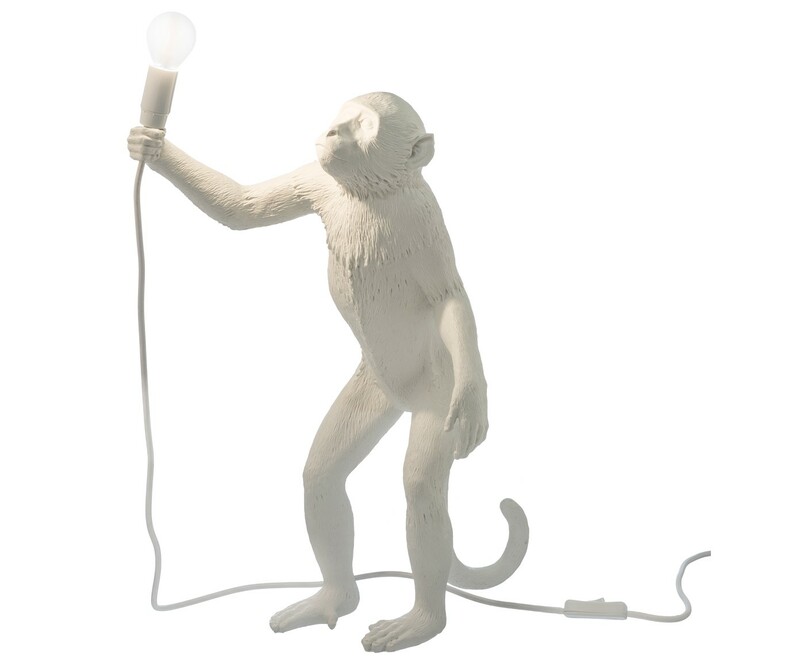 Now in white or black! 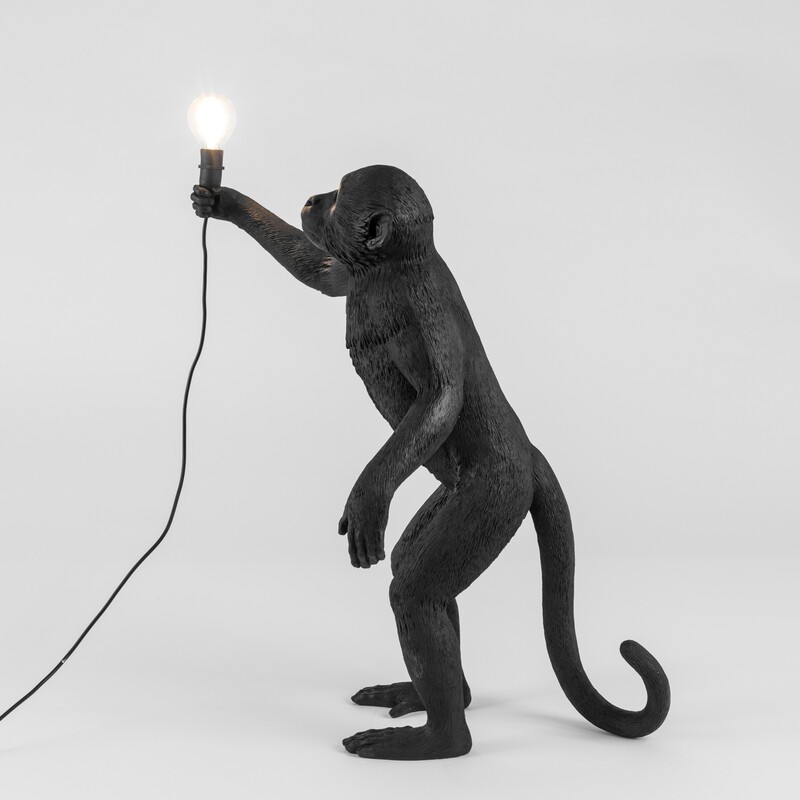 Standing: 46 x 27.5 x h. 54 cm. 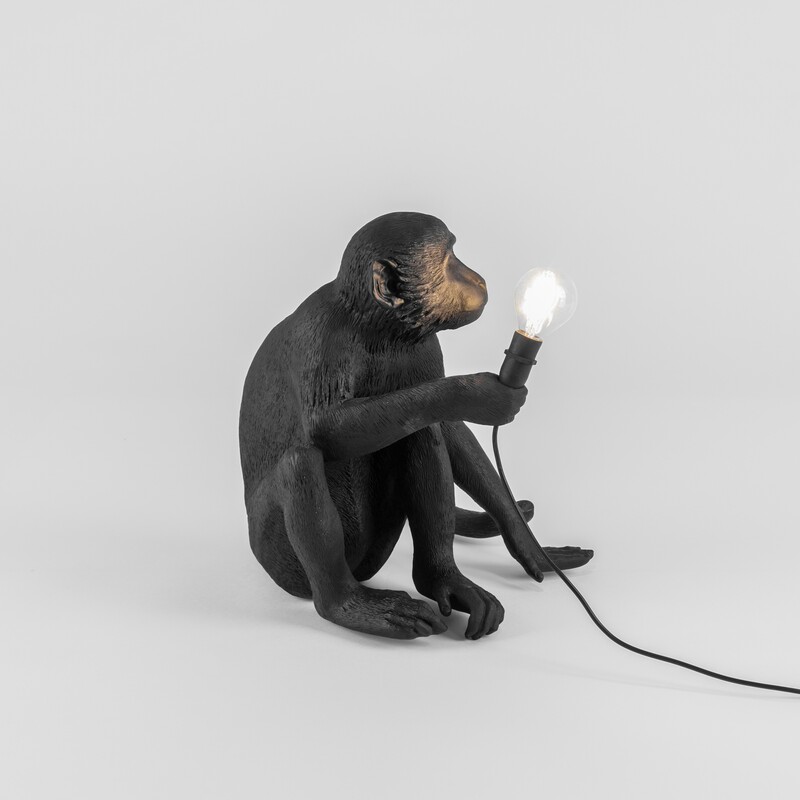 Sitting: 34 x 30 x h. 32 cm. 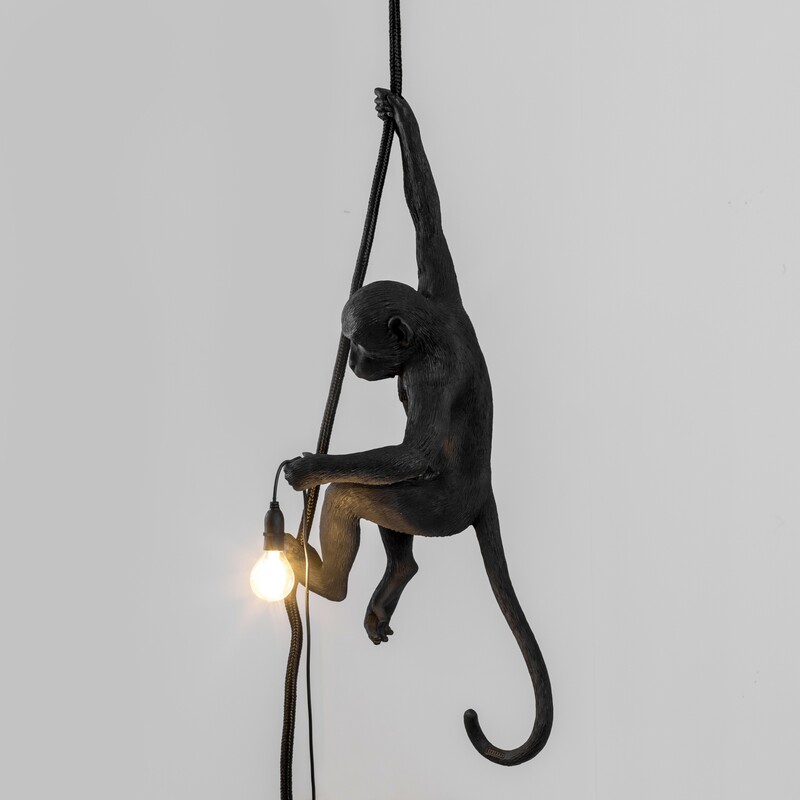 Hanging: 37 x 20 x 76.5 cm.